With nine machining centers, have confidence that we can meet any production needs. Our CNC Machining Centers use the latest in CAD/CAM software. And the machining centers can hold a tolerance of +/- .0001 positionionally. Travel on the largest machining center can is 25” on the Z-axis, 20” on the Y-axis, and 40” on the X-axis. Our smallest machine, the Super Mini Mill unique can do tool changes very quickly and speeds and feeds, the capability are much higher than on your standard mill. Right application for that machine will reduce part cost because we are able to do faster production. Chautauqua Machine Specialties is a full-service engineering and contract manufacturing supplier of precision CNC and traditional machining components. We focus on our innovative engineering skills and the latest fabricating techniques resulting in superior quality and design. 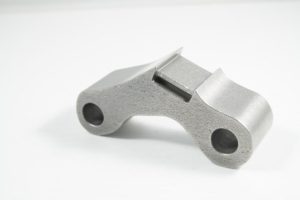 Our modern equipment ensures that we are utilizing the most efficient processes to guarantee a cost effective part and work with our customers to ensure machined parts are to tolerance the first time. Value analysis is considered for each part that manufactured by offering dynamic and cost effective solutions for the best product outcome. We also understand urgent requirements and apply all possible efforts to get parts delivered in the time necessary. Additionally, we understand urgent situations arise and will strive to support critical-path delivery requirements. Our focus is on what you need, when you need it. We can also perform secondary operations to help you get your parts finished under the same manufacturing roof. Chautauqua Machine Specialties has Haas 4th-Axis capability as an accessory to our vertical CNC machines that includes a chuck, collet closer, and tailstock. The 4th–Axis allows us to rotate a part horizontally in a machining center to machine at any degree around the part. Our programmers write the 4th-axis rotation into the program, decreasing the amount of time and labor than would usually be required to complete more complex components. This increases our versatility by allowing us to make more difficult parts without extensive set-ups, resulting in cost savings that we share with our customers.